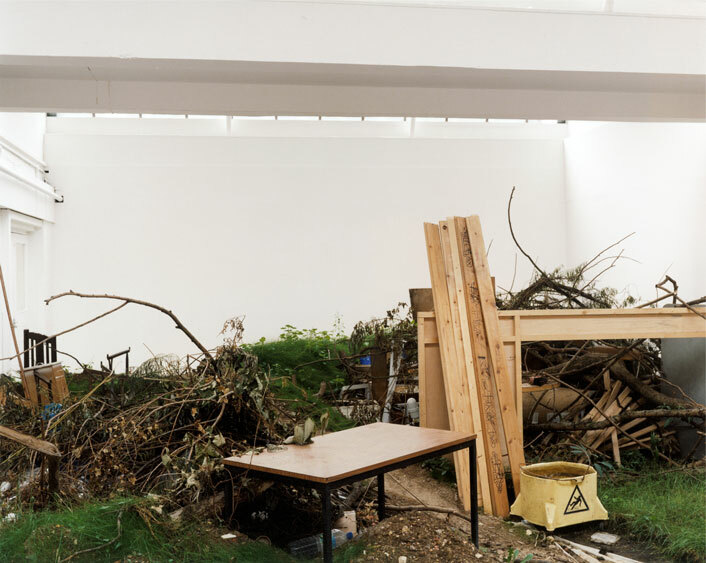 The installation Root functioned like a vacant lot which viewers were free to explore. A footpath at the gallery entrance wound its way through the installation and led out double-doors to the parking bay at the rear of the gallery. 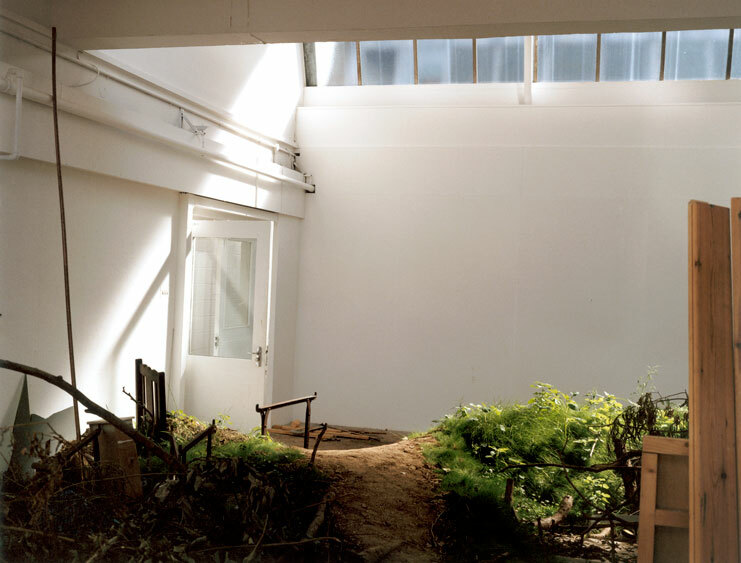 The work was created in place over a period of several months, and by the time of its completion had become a mini-ecosystem of growth and decomposition. The air was humid and warm in the daytime from the high skylights, and a breeze passing through the building's open doors ruffled the weeds. The work pit the rectilinear geometry of man-made materials against the fractal geometry of the organic. A tension between order and disorder prevailed: the appearance of wilderness was the result of careful construction. 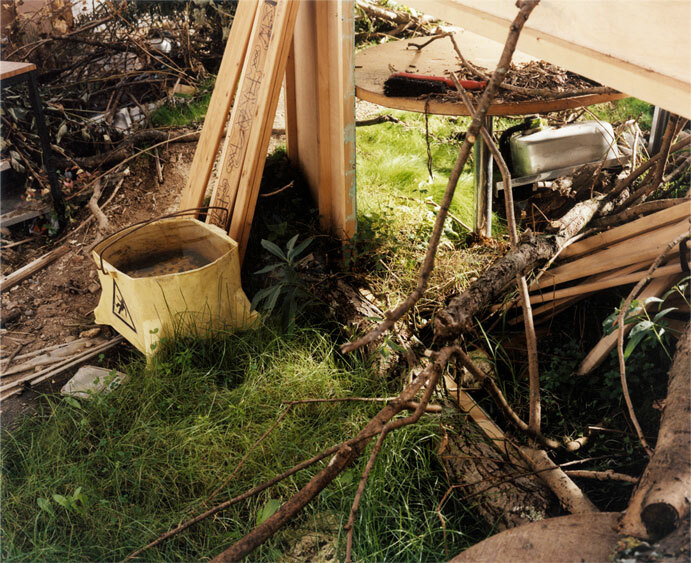 As a sculptural work, Root used everyday objects without any attempt to alter their character - mattresses, sinks and all manner of found materials were used as is, in relationships that would be totally familiar to any urban or suburban observer. The total effect of this strict realism tipped over into a dreamlike atmosphere. sixteen cubic metres of soil, footpath, wild plants, grass seed, sod, six mattresses, twenty-two sinks, one television, one industrial hoover, fourteen chairs, microwave, coffee maker, nescafe, one broken bunk-bed with kid's graffiti, cracked mirror, branches, thirty-five sprouting logs, insects, hoses, buckets, standing water, four window frames, eight tables, sewing machine, umbrella, door, kitchenette set, kettles, one cubic metre of scrap electrical wiring, ten square metres of carpeting, trowel, handsaw, dresser, drawers, hosiery, beercans, slight breeze, broom and dustpan, copper piping, plastic cups, glasses, utensils and sheeting, etc.